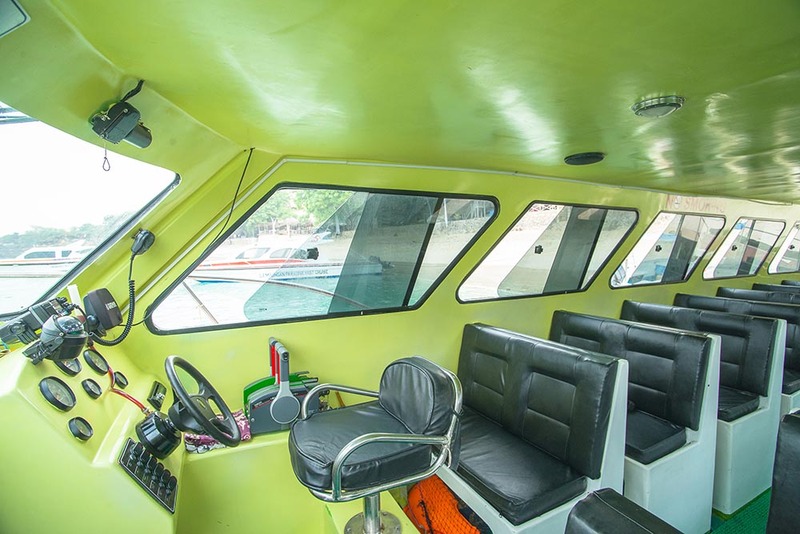 Looking for the best fast boat to Lembongan? What to see and do on Nusa Lembongan? How to get to Nusa Lembongan? Getting from Sanur. 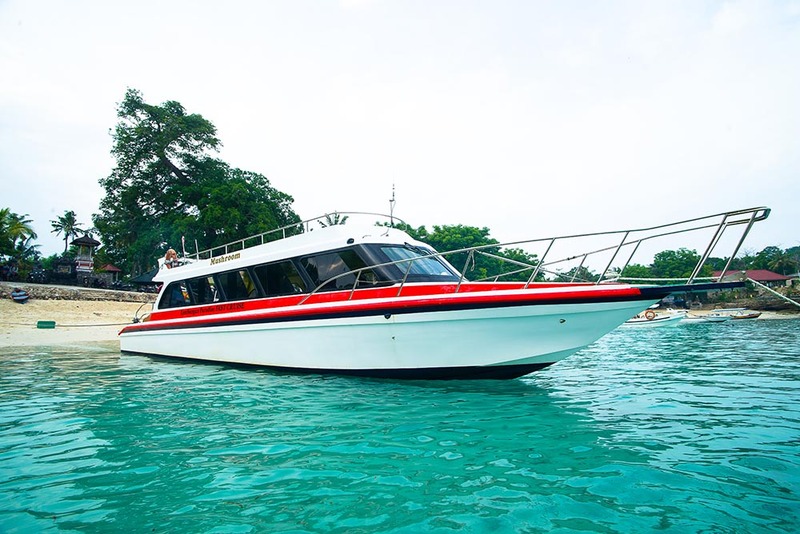 Nusa Lembongan fast boat located only 30-minutes away from Sanur Bali accessible via fast boat has waves, views and more. The island is much smaller and less tourist populated than its neighbours. 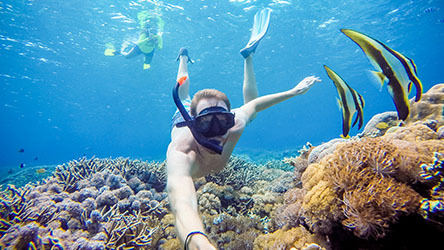 With excellent food, crystal blue waters and white sandy beaches, the place is pure heaven. 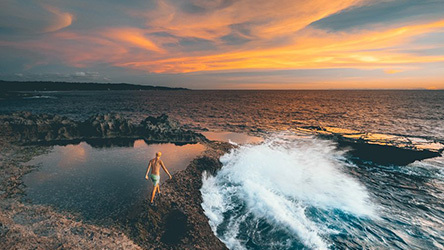 What to see and do on Nusa Lembongan? Nusa Lembongan Island is a super-chilled out tropical paradise. 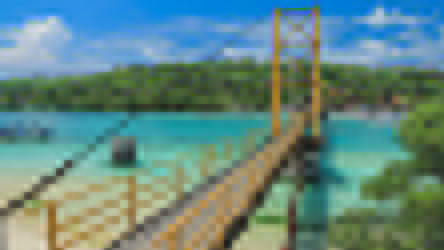 It's got gorgeous blue-turquoise water, dreamy white sand beaches and boutique bungalows. 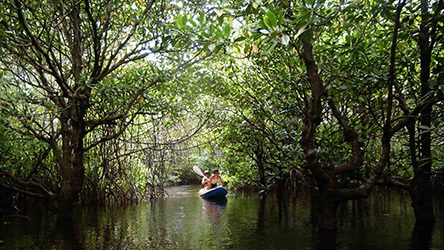 The mangrove forest along the eastern side of Nusa Lembongan is extensive. The thick, shady tangle provides shelter to a number of interesting species. Nusa Lembongan has many hidden beaches where you can relax and swim in warm blue waters. Jangut Batu Beach is the longest and seen from the hill, has great surf, but it’s not as pleasant for regular swimmers. 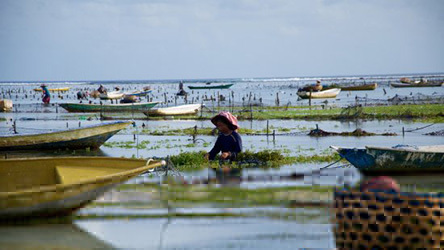 Nusa Lembongan is famous for its seaweed farms which makes sense as this part of Indonesia is covered in seaweed. Including transfer hotel area: Sanur, Kuta, Seminyak, Legian, Airport, and Ubud Center. Free pick up & drop off around Nusa Lembongan.